When you work with Iron Shield Roofing, you know you’re getting an asphalt shingle roof for your commercial or multifamily building that is built to last. Because our commercial roofing team has been at this for more than a decade, you can trust that their project management skills are as finely tuned as their construction skills. You’ll be glad that you partnered with Iron Shield Roofing when your project is completed on time, on budget, and to your exacting quality standards. Because we are certified, experienced roofers, you know that you’re going to get the high-quality underlayments and other materials you expect. We’ll never substitute a cheaper product to pad our own pockets, and we’ll never use substandard materials, ever. The commercial asphalt shingles we install are tough, and we’ve chosen them specifically because they stand up to Alberta’s harsh weather. We’ve got beautiful shingles that provide the look of natural wood shake but are also Class 4 impact resistant and rated to resist wind gusts up to 130 miles per hour. We also use only the best underlayments and roofing systems to ensure that your asphalt shingle roof stays looking great, is warranty-compliant, and won’t ever let you or your building’s tenants down. We only work with the best shingle manufacturers, so you know that your commercial building is getting the best asphalt roofing shingles possible. 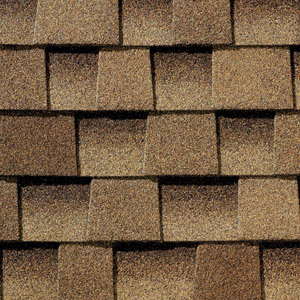 But, what you may not have considered is that when you work with us, you also get a tremendous number of shingle styles and colours to choose from. If you want to maintain the architectural integrity of your building, but don’t want to deal with the upkeep and cost of other roofing materials, call us. We’ll help you find exactly the right high-quality, long lasting, and great looking shingles. If your building needs re-roofing, or if you’re a builder planning a brand new project, give us a call. Our project management team is here to help you make the right roofing decision for your commercial or multifamily building.